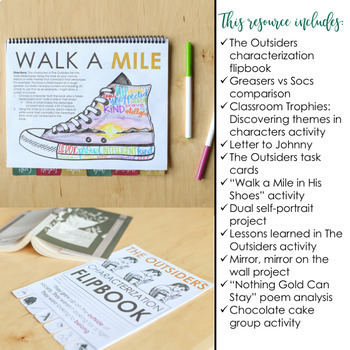 This resource includes multiple projects for the novel, The Outsiders by S.E. Hinton. 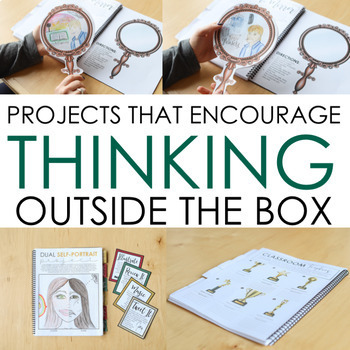 It is filled with unique projects, activities, and resources based that encourage students to think outside the box. ***NOTE: this is part of the larger bundle for The Outsiders that you can find here. This resource does not include the comprehension questions or workbook format that is in the larger bundle linked above. This resource is based on Bloom's Taxonomy-- higher level thinking skills! Please download the preview for more information. 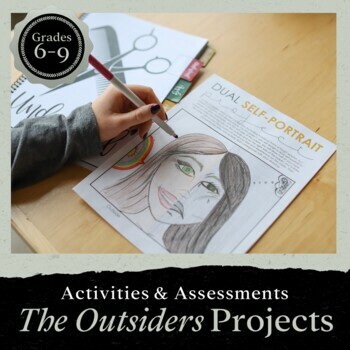 The preview provides images of The Outsiders projects in action.